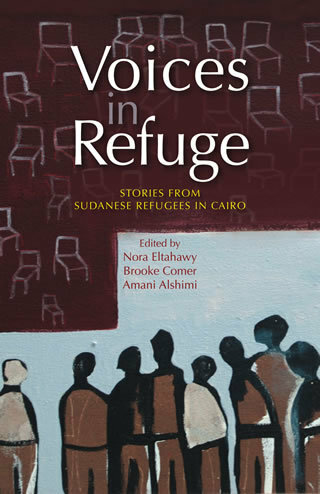 Voices in Refuge Stories from Sudanese Refugees in Cairo "Soft Cover"
Current estimates indicate the presence of anywhere between 20,000 and 250,000 Sudanese refugees in Egypt. The great discrepancy in figures, a result of contradictory new reports, is an important demonstration of the way the refugee situation in Cairo is perceived by various interest groups, many of whom continue to underestimate the problems faced by the Sudanese community in Egypt. This collection of oral narratives gives voice to the everyday lives and unique struggles of a small group of refugees displaced to Egypt, in an attempt to identify their problems frequently overlooked by the media. Compiled through a series of interviews conducted by students at the American University in Cairo, the narratives are complemented by a short history of Sudanese refugees in Egypt and a theoretical study of racism against the Sudanese in the country.